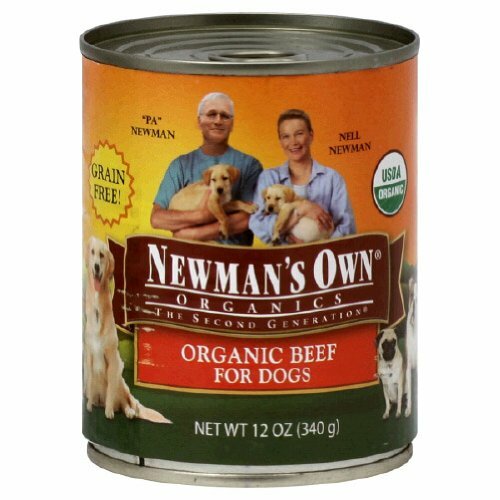 Newman’s Own Organics Dinners for Dogs are USDA certified organic and grain-free, providing complete and balanced nutrition for dogs of all life stages. All recipes feature organic beef or poultry as the first ingredient and, of course, have no wheat, corn or artificial colors or flavor enhancers. Newman's Own, Inc., founded by Paul Newman in 1982, offers great tasting, high quality food and beverage products for people and pets. Products include salad dressings, pasta sauces, frozen pizza, salsa, refrigerated drinks, cookies, barbecue sauce and snacks as well as dog food, cat food and pet treats. Newman's Own Foundation continues Paul Newman's commitment to use 100% of royalties and profits that it receives from the sale of its food products for charitable purposes. Over $500 million has been given to thousands of charities since 1982.